John Paul Densmore was born on 1 December 1944, in Los Angeles, California USA, and is an actor, musician, songwriter, and author, probably best known for being the drummer for the rock band The Doors. He is a member of the Rock ‘n’ Roll Hall of Fame, and all of his efforts have helped put his net worth to where it is today. How rich is John Densmore? As of early-2017, sources estimate a net worth that is at $10 million, mostly earned through his success in the music industry. He was the sole drummer of The Doors, and was heard in every recording of the band. He was also responsible for his veto of attempts to license their songs for commercial purposes, including an offer of $15 million in 2003 by Cadillac to use The Doors song “Break on Through (To the Other Side)”, as the late Morrison was vehemently opposed to licensing their music for commercials. Regardless, all his efforts have ensured the position of his wealth. 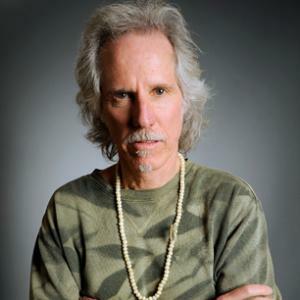 While growing up, Densmore learned to play the piano and later took drum lessons for his school marching band, and also played in an orchestra using the timpani. He attended Santa Monica College and later California State University, Northridge. At California State, he studied ethnic music under Fred Katz. In the mid-1960s, he joined the band Psychedelic Rangers with guitarist Robby Krieger. They later met Ray Manzarek and Jim Morrison, forming the band The Doors in 1965. The band would release six studio albums throughout their career along with several live albums, and were very successful, known to have sold over 100 million units. In 1971, Morrison passed away and the remaining members of the band created two more albums that were accompanied by recorded poetry from Morrison. Densmore stayed with the band until its dissolution in 1973, with their last performance as a quartet was on 12 December 1970 at New Orleans. After the end of The Doors, Densmore formed a new band with Krieger called Butts Band. They would release two albums with different line-ups, and then John would start a dance career, performing with Bess Snyder & Co. around the United States for two years. In 1984, he made his acting debut on stage in “Skins”, which he had also written. He won an LA Weekly Theater Award for his music in “Methusalem”, and also won an NAACP award for theatre for “Rounds”, which he co-produced. In 1988 he appeared in a production of “Band Dreams and Bebop”, and continued involvement in theatre for the next few years, making big contributions to “The King of Jazz”, and “Be Bop A Lula”. In 1992, he started making guest appearances in various television shows such as “Square Pegs” and “Beverly Hills 90210”. John also had film projects such as “Get Crazy”, “Dudes” and “The Doors”. In 1990, he released his autobiography – “Riders on the Storm” – which became a best-seller, and in which he recalls visiting Morrison’s Grave three years after his death. He was inducted to the Rock ‘n’ Roll Hall of Fame as a member of the Doors. Later, he appeared with Manzarek and Krieger in the documentary “RE:GENERATION”. For his personal life, John Densmore was married to Julia Brose from 1970-73, and has been married to Leslie Neale since 1990. It is known that Densmore supported the presidential run of Bernie Sanders.